Spring is in the air in northern Indiana. The tulips on the University of Notre Dame’s campus promise the excitement of bright color after winter’s grays. 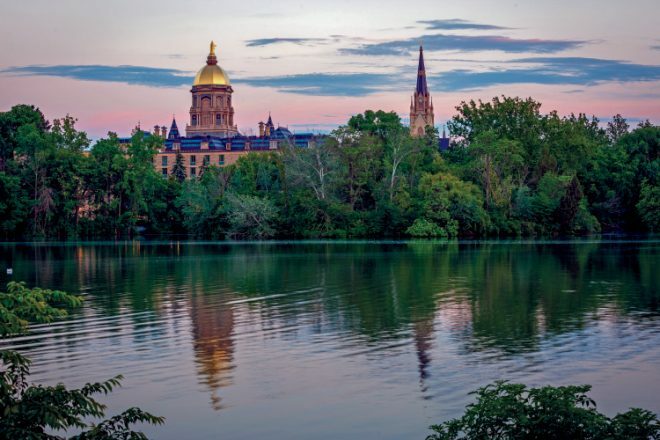 In nearby South Bend and Mishawaka, the colors of history, confectionary, shopping and the St. Joseph River beckon local and traveling families alike to come enjoy a variety of attractions as the weather warms. 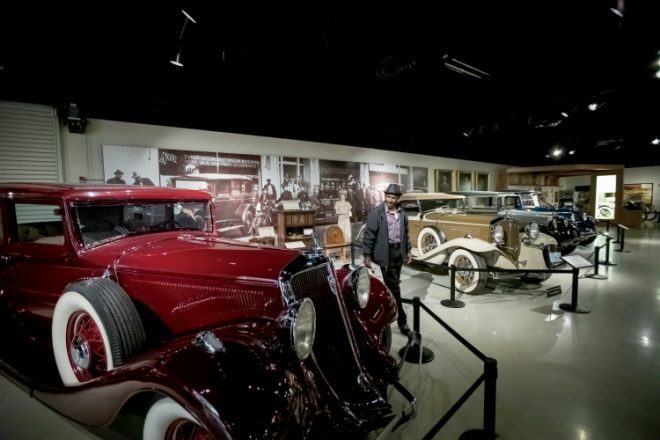 The South Bend-Mishawaka area boasts more than a dozen museums. 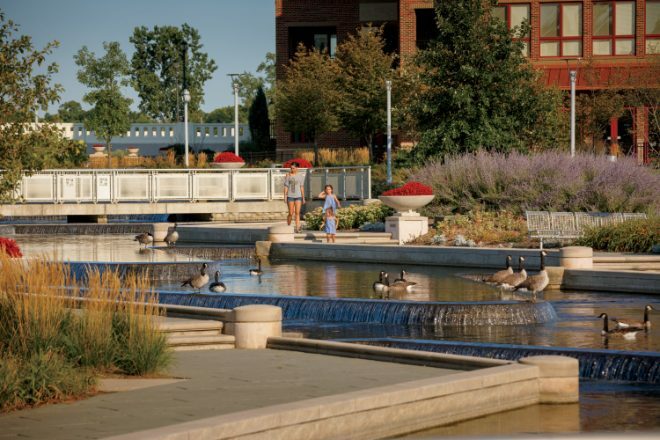 Spend an afternoon or even a day around Thomas Street in South Bend, where the whole family can wander together through the area’s past. Start at The History Museum to learn about the people who’ve called the St. Joseph River Valley home from pre-history to the last century. 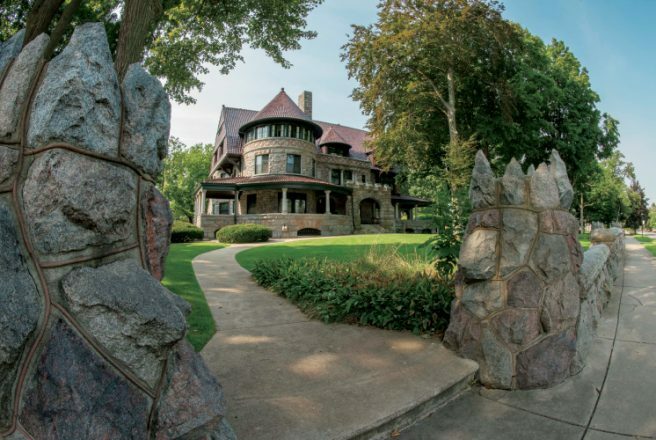 Step into the area’s days as an industrial powerhouse when you enter the Oliver Mansion, built in the 1890s and now owned by The History Museum. All-original furnishings in the home of industrialist J.D. Oliver and his family provide a peek into how they lived. 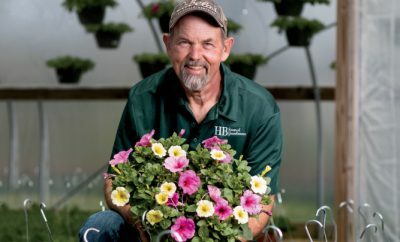 See springtime events in South Bend-Mishawaka. Next, wind your way through the Studebaker National Museum. Whether your interest lies in history, cars or beautiful design, there’s something here you’ll want to see. Learn how the Studebakers got their start in wagons back in the 1850s in South Bend. Revel in the sleek lines of classic cars. See for yourself the Studebaker carriage that drove Abraham Lincoln to Ford’s Theatre the night he was shot. In the Studebaker Super Service Center, kids can try their hand at rotating tires, replacing mufflers and more. 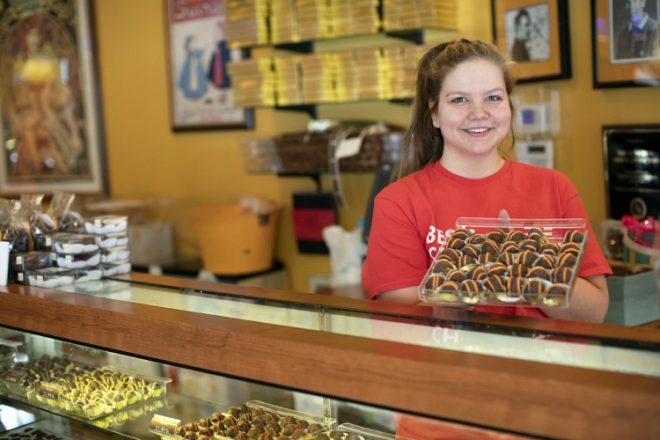 If all that history makes you crave a snack, you can satisfy your sweet tooth at the South Bend Chocolate Company. Tour the production facility to see firsthand how one of the world’s favorite treats is made, then peruse the museum dedicated to chocolate. And of course, stop by the store for goodies to take home. 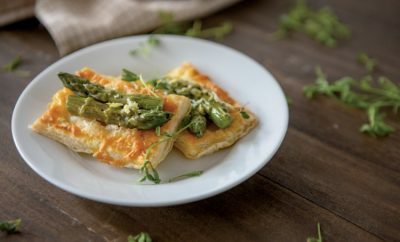 Ready for real food? Choose a restaurant along the South Bend Foodie Trail, such as Fiddler’s Hearth Public House, where you can enjoy classic Irish entrees in a cozy atmosphere, or Café Navarre, where Old-World style and farm-fresh ingredients will add a touch of elegance to your day. More restaurant options and plenty of shopping await you in and around the area, from Eddy Street Commons just outside the Notre Dame campus to University Park Mall’s 120-plus stores in Mishawaka. “There is always something happening at Potawatomi Zoo,” says Skye Hoffman, education curator at Potawatomi Zoo in South Bend. 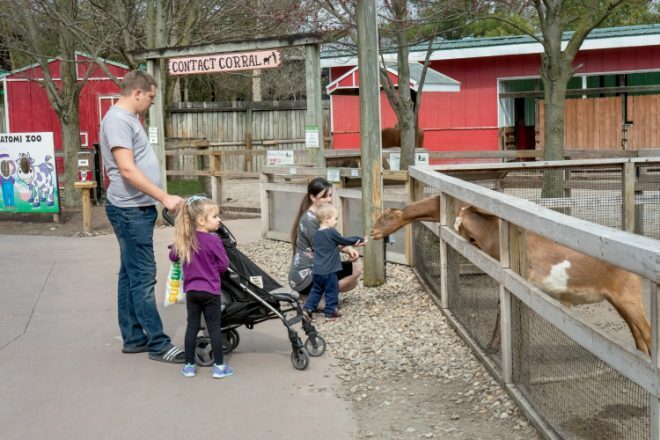 Nearly 500 animals, opportunities to interact with the “animal ambassadors,” and a host of educational programs for kids of all ages should put Potawatomi Zoo on any family’s must-see list. While the zoo doesn’t open for the season until late March, EdZOOcation classes start on March 2. “An EdZOOcation program is a great way to make your trip to Potawatomi Zoo that much more memorable,” Hoffman says. Parents can sign up to enjoy the Tiny Explorers class together with their toddlers or send the kids to Junior Naturalist, Future Zoologist or Wild Ranger classes while they enjoy the area’s other offerings together. South Bend has built a network of bike routes to make two-wheeled touring easy and safe. Rent a bright-green Lime Bike (that’s also easy – just download the app) to reach your downtown destinations or enjoy a riverside route and views of the St. Joseph. If you’re up for something more challenging, nearby state and county parks have mountain bike trails for every skill level. No time spent in South Bend is complete without watching the River Lights. Each night, this interactive, multipart sculpture installation paints the river with light and color. As people walk around the sculptures, their motions trigger changes in the colors. 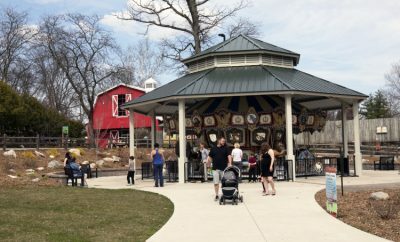 “They’re truly one of the most unique and beautiful assets of our community and something I always take visitors to see,” says Lauren Stout, travel media and PR specialist for Visit South Bend Mishawaka. Great spots to view the colors include Colfax Bridge, Island Park and Pier Park. 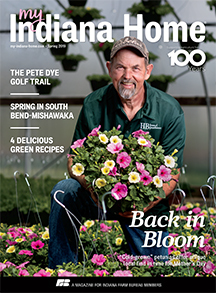 Wherever you go next, the colors of South Bend and Mishawaka are sure to stay with you.